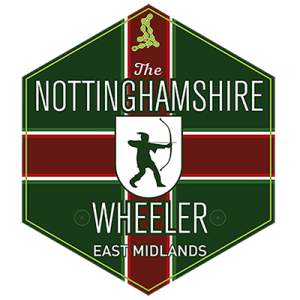 If you’re not able to make it to Scotland for the 5th November event, then why not check out the Nottinghamshire Wheeler Sportive which is a little closer to home? This event is taking place on Sunday 5th November 2017 and you’ll locate it at: Southwell Racecourse, Rolleston, Near Newark Nottingham, NG25 0TS. All you need to do is head over to the UK Cycling Events page, as always, to book tickets and your place. What are you waiting for? As always, you can choose from the Epic, Standard or under 16 option. The Epic option is a course which takes place over 77 miles and 2828 ft. It is just £35 to buy in advance from the UK Cycling Events page. However, if you turn up late, the you’ll find you have to pay £5 more – so £40. If you book in advance, you can also guarantee your place! We look forward to seeing you there, so sign up now. The second, Standard option, is 45 miles and 1591 ft. This option is the same price as the Epic choice, so you could go the extra miles for the same amount of money. But, remember to only choose an option which suits you, otherwise you could find that you need a few days of bed rest afterwards! Again, you spend £35 booking in advance or £40 on the day. Make your decision wisely! This course starts at the Southwell Racecourse. From here, you’ll be able to take in the beautiful English countryside on this trail. If you haven’t visited Nottinghamshire before, now is a great time to visit and what better way to see a lot of the countryside than a beautiful cycle with friends? Join us here, or in Glasgow, on this date and you’ll be able to spend your day cycling, making new friends and enjoying food and drink after completing the route. You’ll also receive a finishing gift and a medal too. As well as this, you’ll be able to find professional photos online to enjoy and send to your friends and family after you’ve completed the event. If you’re worried about your health, then fear no more as there will be a medical team on site. But, make sure to choose the right course for you so you don’t regret it afterwards. There is also a mechanical team for you to speak to if something goes wrong with your bike. Better yet, there are “feed” stops along the way for you to eat at where you’ll be able to chat to your new friends! Remember that the venue opens at 7:15am. Better to be early than to be too late! If you haven’t bought your ticket, then you need to make sure you’re available for the registration between 7:30am – 9:15am. The cycle starts at 8am and will end at 3.30pm. What time can you make it in? Let us know and send us your pictures of the event if you don’t manage to catch up with the Birmingham cycling club. We’re looking forward to filling up the site with some of our favourite cycling events from the year and we need you to help us by sending in your images. Have any pics of your favourite bike, yourself and mates in your cycling gear enjoying a cuppa? We want them on this site to help encourage others.